WorldMovieStore - Amadeus Sinopsis. Antonio Salieri believes that Mozart's music is divine. He wishes he was himself as good a musician as Mozart so that he can praise the Lord through composing. But he can't understand why God favored Mozart, such a vulgar creature, to be his instrument. Salieri's envy has made him an enemy of God whose greatness was evident in Mozart. He is set to take revenge. Read More Sinopsis. 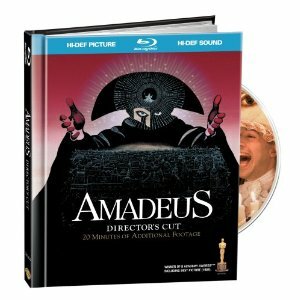 0 Response to "Blu-ray Release Amadeus"